Postage stamps are 99% biology. Paper makes up almost all of a stamp's mass and volume, but few have ventured into the jungle of plant fibres below the printed surface. Thus awoke Cocographia, the author's very own journey through the hidden universe of subphilatelic particles, after Robert Hooke's Micrographia of 1665. The sacrificial stamps were bisected diagonally. One half was meant for fibre analysis while the other was to be kept as a record. 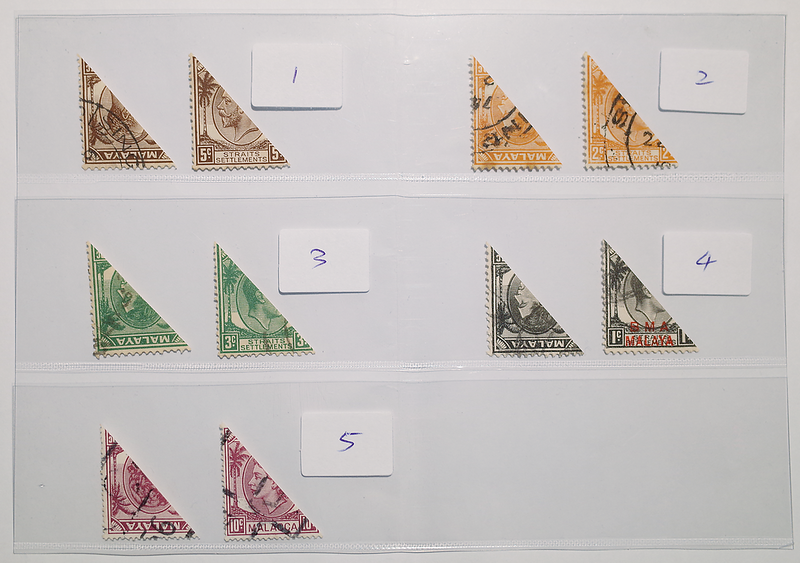 Eventually both were repulped but a corner was snipped off each stamp and kept. The corners contained printed areas to aid in verification of paper type. 1, pre-war chalky paper; 2, 1941 striated paper; 3, 1941 rough paper; 4, post-war substitute paper (British Military Administration); 5, post-war chalky paper (Queen Elizabeth II for latest possible sample). Common values were chosen that were in reasonably good condition without too much fungal deterioration. They were all different colours to minimize the chances of a mix-up. Repulping follows Donaldson (2009), Barwis (2013) and Katz (2015) with modifications. The bisect was torn into small pieces by hand to avoid cutting the fibres. Any stamp hinges were removed. The author encountered unexpected difficulties trying to push the bits together with his finger: static electricity generated during tearing made the paper fragments come alive, jumping about like uncontrollable grasshoppers. The Coconut Reactor. Double-boiling of postage stamps on a kitchen hot plate. Distilled water was purchased from the supermarket. 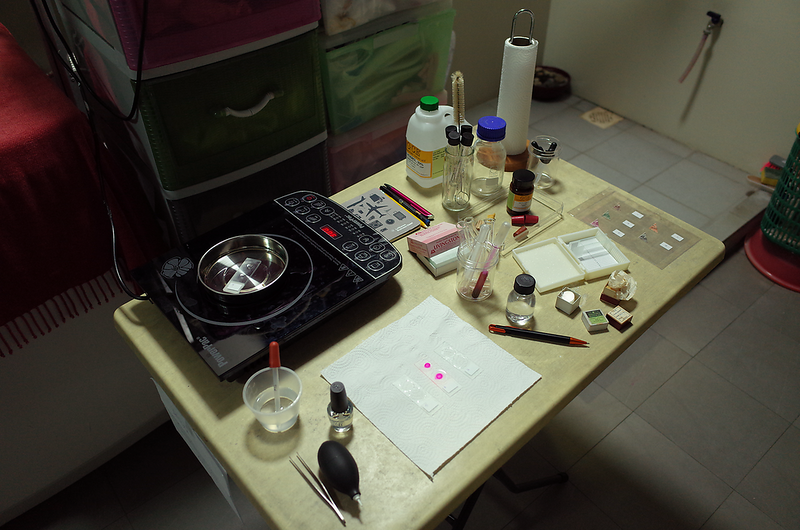 To minimize alteration of the fibres, I decided not to use sodium hydroxide or other repulping chemicals. True to 007, the test tubes were periodically shaken, not stirred. A rubber bung was used to stopper the mouth and permit vigorous agitation. 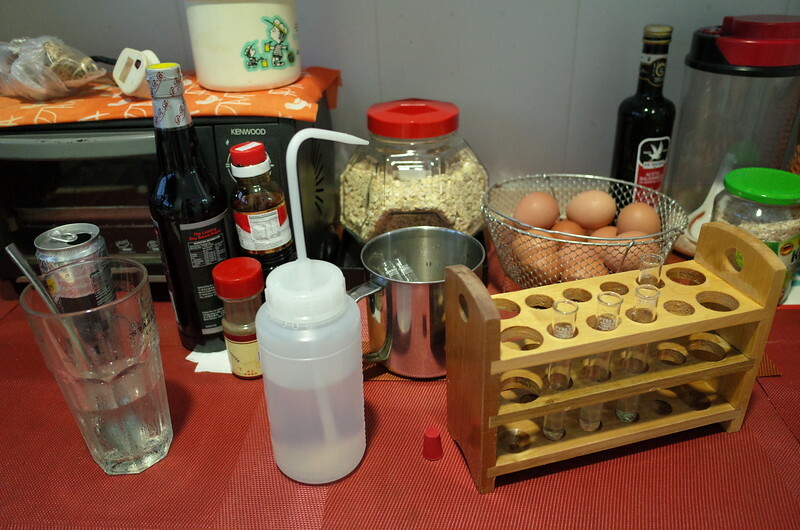 Maceration overran into dinnertime, and the author moved indoors with the eggs, oatmeal and a glass of ice-cold lime soda as stir-frying of petai started outside. Finally, everything was allowed to settle and most of the water was decanted off. 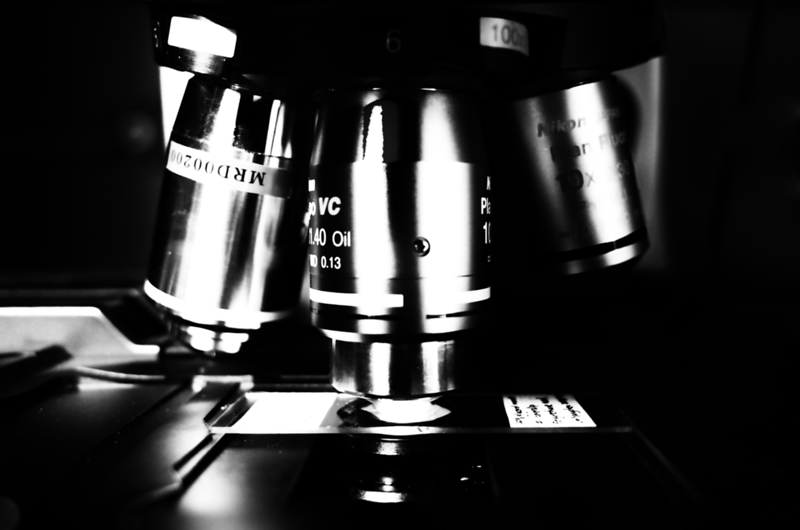 Then the test tube was shaken and the cloudy water was droppered onto a microscope slide. Makeshift al fresco laboratory in the author's kitchen. "Coconut broth" is being deposited and evaporated for five cycles on the slide on the hot plate ("Milk" setting, 60° C) to concentrate the fibres. Chemicals and glassware were sourced from one of the very few remaining small-enterprise scientific suppliers tucked away in an industrial park in the outskirts of the city, where you can walk in and pick items off the shelves. You pay cash and they wrap it up in old newspapers, like fish at the market. 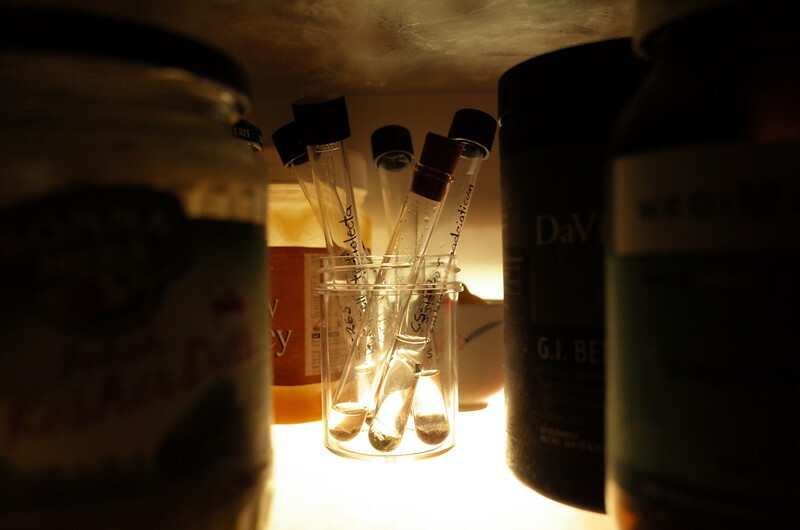 "Cryogenic" preservation of "coconut broth" in the kitchen fridge. The screw-top tubes used to hold live cultures of dinoflagellates in one of my undergraduate research projects. A glimpse of "botanicules", after Antonie van Leeuwenhoek's animalcules at the philosophical transactions of the Royal Society in 1677. The fibres were mounted unstained in 99% glycerol (C3H8O3). Being of a different refractive index from plant fibres (Donaldson 2009), glycerol increases the definition of the microscope image. 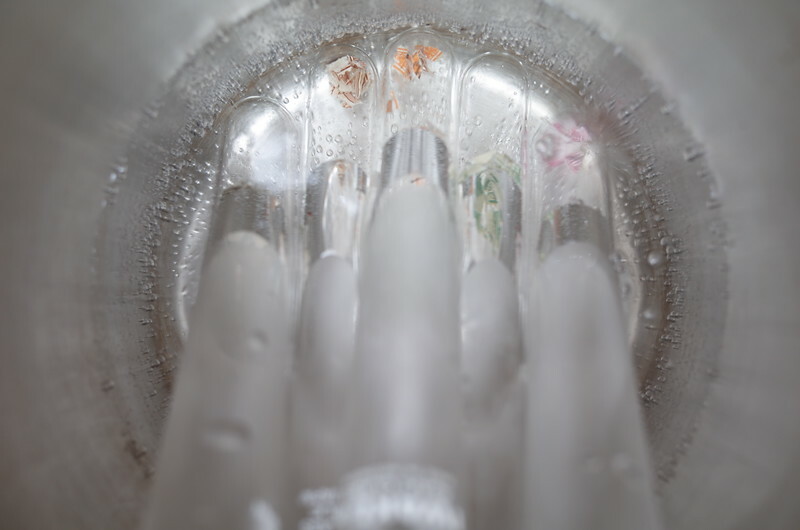 Nail polish is popularly used to seal liquid mounts, but the author abandoned it after initial trials for both practical and aesthetic reasons. It has a ghastly allergy to the glycerol. 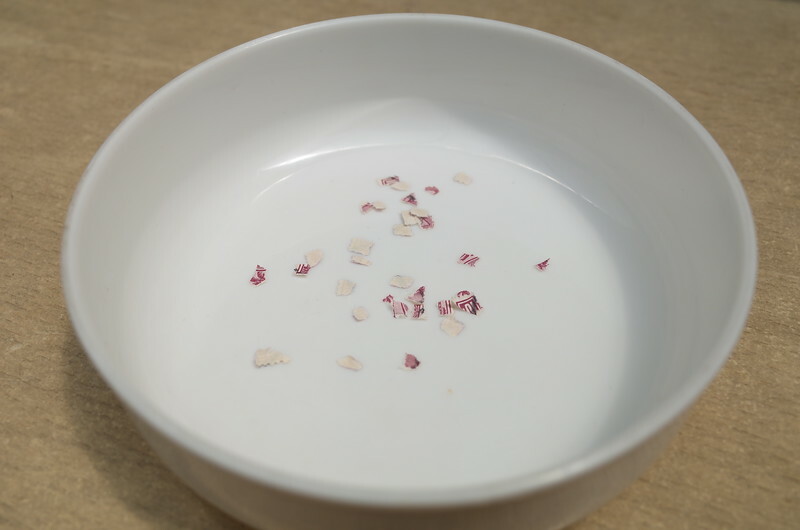 It will also dissolve in the alcohol used to clean off the immersion oil used with high-powered microscope objectives. The larger coverslip on this trial slide is a No. 1 (thickness 0.13–0.16 mm) made in Japan, the smaller one a No. 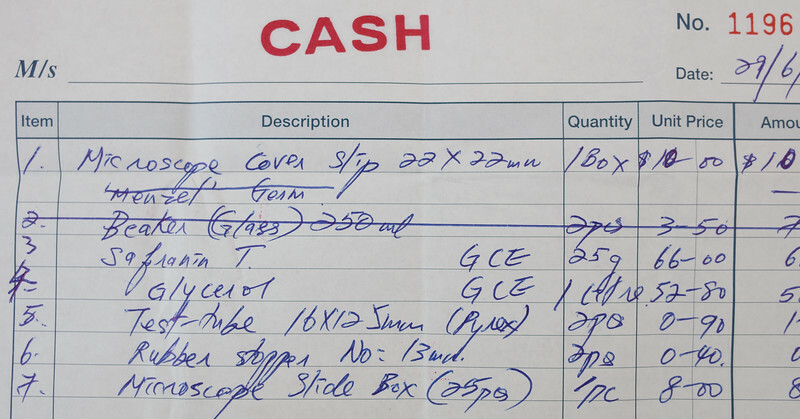 0 (0.085–0.13 mm) made in Germany. 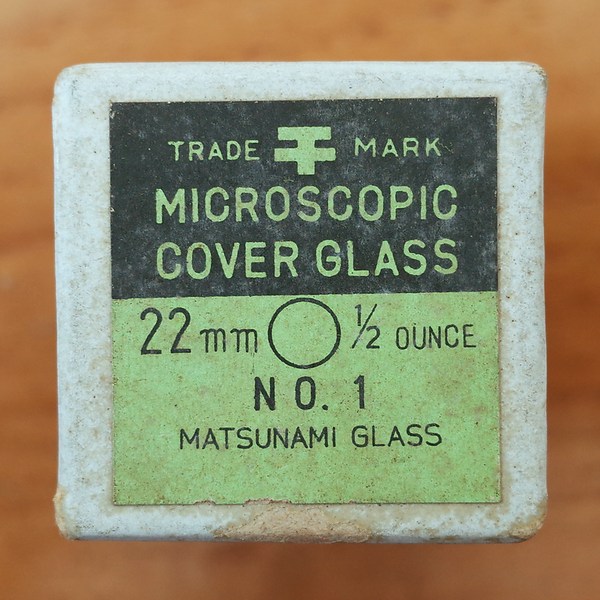 Old-school circular coverslips were used in this project, made by the Matsunami Glass company founded in 1844. The box features the layout and typeface quintessential of engineering drawings of the mid-20th century. The coverslips are one step thinner than the required thickness for the objectives used, in order to accommodate additional thickness in the mounting medium. 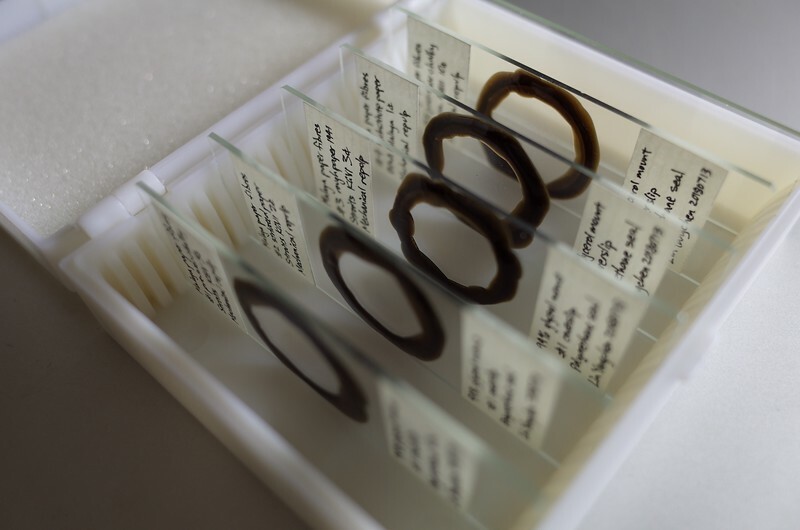 Circular coverslips are a physical manifestation of the circular field of view through the eyepiece that makes microscopic observation so magical. Alas, they have mostly given way to square coverslips which the author supposes are easier to mass-produce. It was polyurethane wood varnish that eventually won my heart, and not just because it is strong and inert to alcohol. 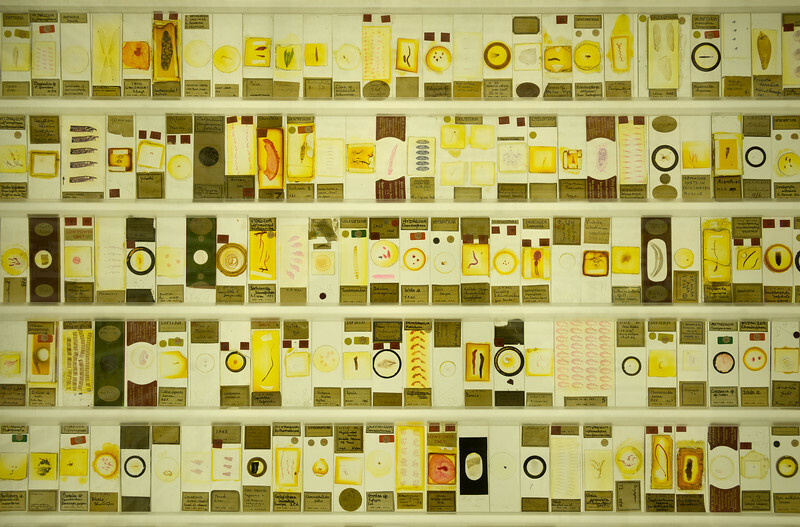 Dark rings focus one's eyes and curiosity onto the specimen on the slide, as seen by the author in the Micrarium at University College London, harking back to the early days of the exploration of the microcosmos. 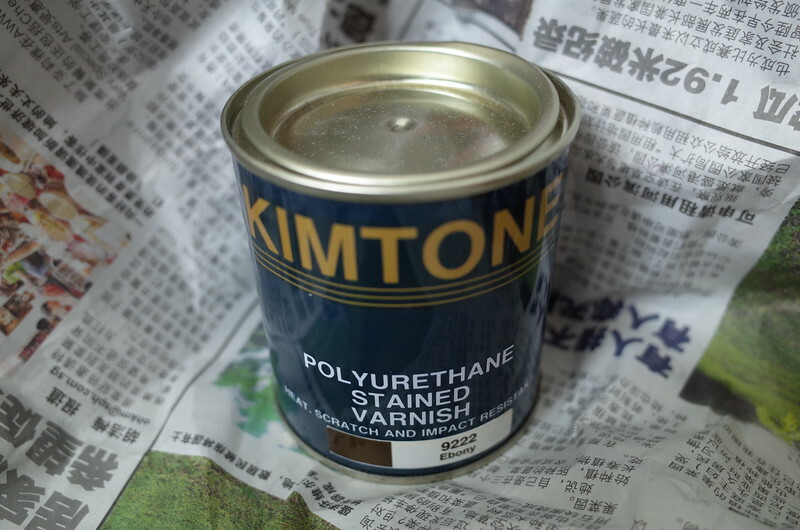 The author paid a visit to the neighbourhood hardware shop, where the auntie picked out for him a can of polyurethane wood varnish from a dusty shelf. Ironically, polyurethane is inert when fully set, but its synthesis and application involve toxic chemicals and volatile organic compounds. Polyurethane was transferred to the slides with a small paint brush, its bristles held close to but not touching the glass, letting the surface tension of the liquid draw it along the edge of the coverslip. The polyurethane was allowed to cure overnight, followed by a second coat to make sure the seal was leakproof and airtight. 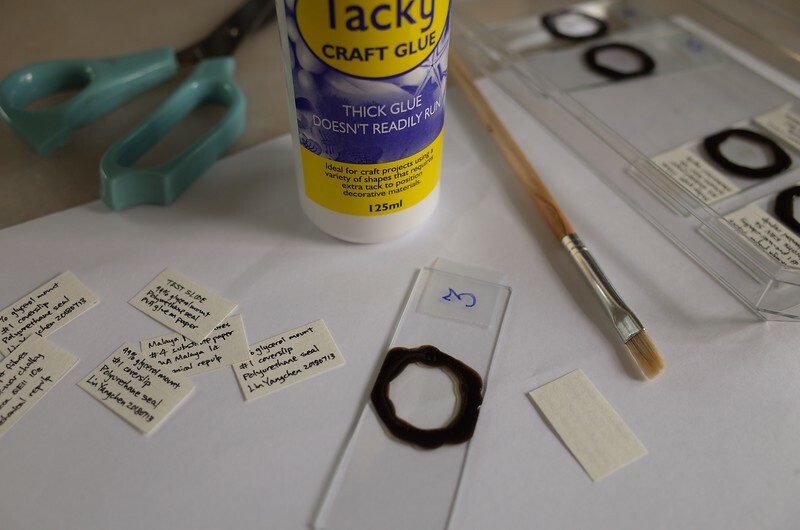 The slides were temporarily marked with 3M Magic Tape, which leaves no residue, while permanent labels were prepared. Annotations were handwritten in waterproof archival ink from a 0.2 mm tip, on labels hand-cut from laid paper. The labels were affixed with polyvinyl acetate adhesive and allowed 12 hours to cure to maximum strength. All dressed up for a date with the microscope. Fibres were examined under a Nikon Ni-E microscope using 10× Plan Fluor, 20× Plan Apochromatic, 40× Plan Fluor and 100× Plan Apochromatic VC (violet-corrected) oil-immersion objectives. The tab labeled "100×" at upper right belongs to the objective's removable Nomarski prism. The mythical VC objective, which corrects for violet aberration on top of the red, green and blue correction of apochromats. Only this objective is capable of eliminating purple fringing. 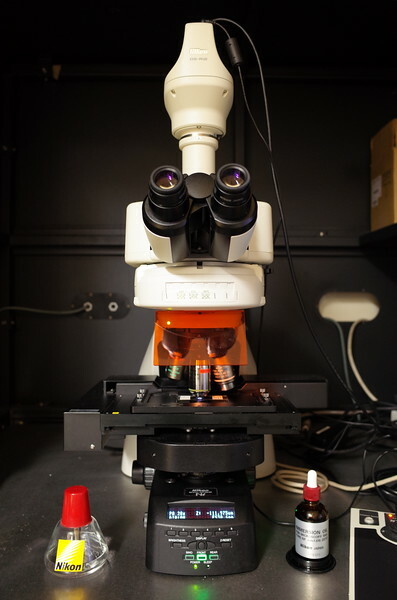 The microscope was configured for Nomarski interference contrast, which extracts high-resolution detail from transparent unstained biological material. The optical wizardry starts with the polarization of light rays into two orthogonal directions by a compound prism made up of two birefringent crystals of materials such as quartz or calcite. 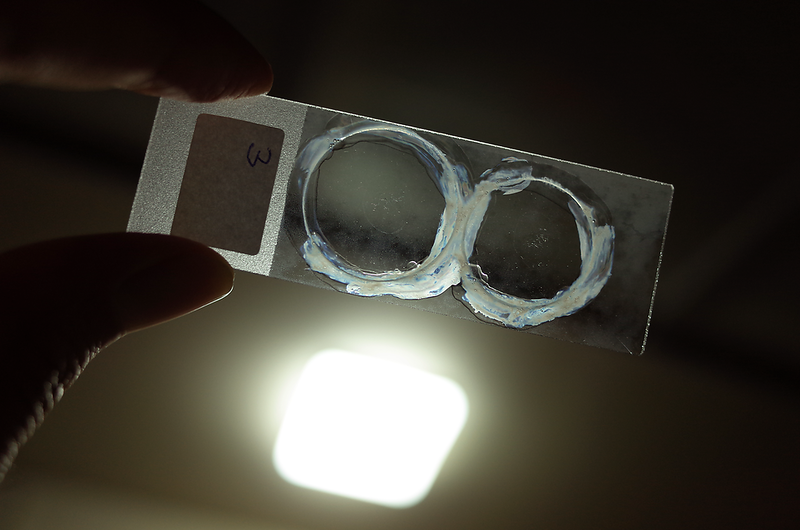 The differently polarized rays are deliberately passed through the specimen at a slight offset from each other. On exit from the specimen they are rotated to the same direction of polarization, and aligned so that there is no more offset. At this moment, rays that passed through adjacent points in the specimen undergo interference. If the adjacent points were of different density or topography, the destructive or constructive interference will darken or brighten that location in the image relative to cases where adjacent points did not differ. The "Large Micron Collider", a state-of-the-art Nikon Ni-E almost 100cm high, bombarding a small sample of fibres with high-energy photons traveling at the speed of light. At the top of the superstructure is the full-frame 35-mm-format camera. 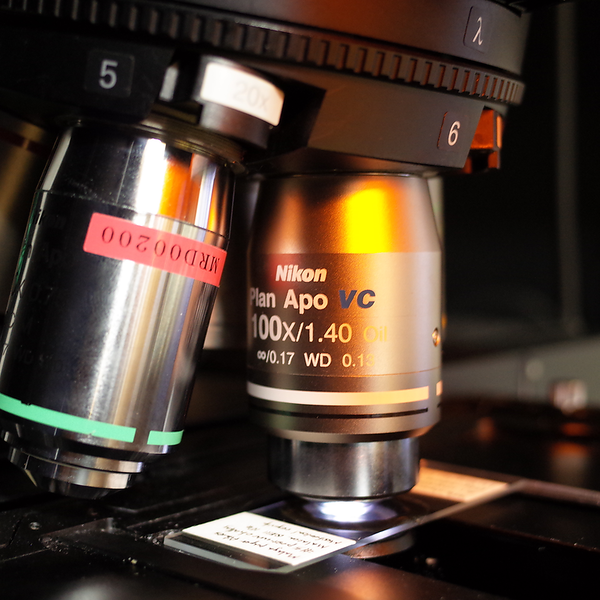 The brown bottle contains high-viscosity, low-autofluorescence immersion oil of refractive index 1.515 (23° C), specifically formulated for Nikon objectives. The conical flask dispenses 100% ethanol for dissolving the oil after use. I am grateful to Benedict Sim, Ernest Cheah, Clement Khaw and Goh Wah Ing for discussions and technical assistance, and to the Nikon Imaging Centre at the Singapore Bioimaging Consortium for the facilities that made this research possible.